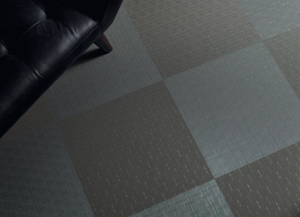 The Wovon collection of interwoven vinyl tiles provides a unique and diverse selection of weave designs that come with extraordinary depth and sophisticated aesthetics to cater for projects that require contemporary styling. With the advantages of its heavy commercial vinyl construction, the Wovon range, available in 500 x 500mm tile, is a hard wearing, low maintenance option for commercial and residential locations. Such areas include offices, retail and hotels.